A couple months ago we discussed the need for a social strategy, whether you are speaking personally or professionally (i.e. as a business). One of the key takeaways from that article was that there is a difference, at least in effectiveness, between “doing social media” and implementing a social media marketing strategy. We are going to re-visit the topic, from the “need” aspect on why a business needs social media marketing (or even the lesser, random ad hoc social media practice). The key point in this article isn’t necessarily the HOW, but the WHY. For many of you, this is a non-issue. In other words, you have already adopted social media marketing in your business, and you do not need any convincing. For you, this is just an “easy read” and a checkpoint to see if you thought of all significant reasons. For others, who have sworn to stay away from social media, or who haven’t even thought of using it, this article is for you. I’m not going to come strong arm you into using social media. I mean, for one, I couldn’t. For another I wouldn’t. And, really, not all things are for all people. However, my job is to present the reasons that may apply to you and then you make the decision of whether it is relevant to your position. and communication accessibility(directly quoted or re-worded from thesocialsavior.com).This is a great list, isn’t it? If you want to read about each of these items, check out the article linked above, for more information from the authors of the article. Looking at our list, in the context of that question, “Can your business create engagement WITHOUT social media?” Yes, you can probably do so hiring someone to stand on the street corner with a sandwich board, handing out flyers and asking for feedback from every passer-by that travels that way. The follow-up question would be, how well is that working? Is that engagement? What about the cost of the staff person and all of the printed flyers, especially in a return-on-investment (ROI) analysis? When we phrase the questions in this way, going through the list of benefits, you can see a trend. While many of these things may be accomplished offline and even without social media (i.e. just a website), the REAL QUESTION is “How effective are these things accomplished without social media?” Considering the “low cost of entry,” as thesocialsavior.com puts it, you really can’t go wrong with implementing social media marketing. You are likely already convinced and were probably convinced before even reading this article. I say that because of how widely social media marketing has already been adopted and not because of what is written in this article that I am typing. However, we can go deeper yet and take an academic look at this “WHY” aspect of social media for business. In a 2014 article called “A study of the impact of social media on consumers,” author M. Nick Hajli (University of London) examines different factors that affect the consumers of a brand. Specifically, there is an examination of how the social media marketing affects consumerism and if it helps the business to reach their objectives, which in most cases has to do with encouraging a sale. One of the key aspects of the study was the measurement of trust. The findings of the research supported an increased trust, and much of that had to do with the personal referral/recommendation aspect of the use of social media. While we likely already knew this, it is nice to see it in print in a journal like this International Journal of Market Research. In this article by Aichner and Jacob, different companies are analyzed for their social media usage. The companies are Intel, Samsung Mobile, and Disney. The authors pointed out that the fan base/followership had to be large enough to calculate the usage. These companies presented a stable and substantial followership for the researchers to use in their analysis. The key takeaway from this article is that all three companies were benefitting from the corporate usage of social media. There are standard algorithms that may be used to identify the ROI of the social media marketing. However, that said, the results varied. In some cases, one company may have posted more frequently than another company, but another company may have received more engagement on what they posted. What does that tell you? It tells you that there is an answer to the “WHY use social media” (in this case, engagement and branding), but that the HOW and the strategic aspect of the WHAT is a different discussion. 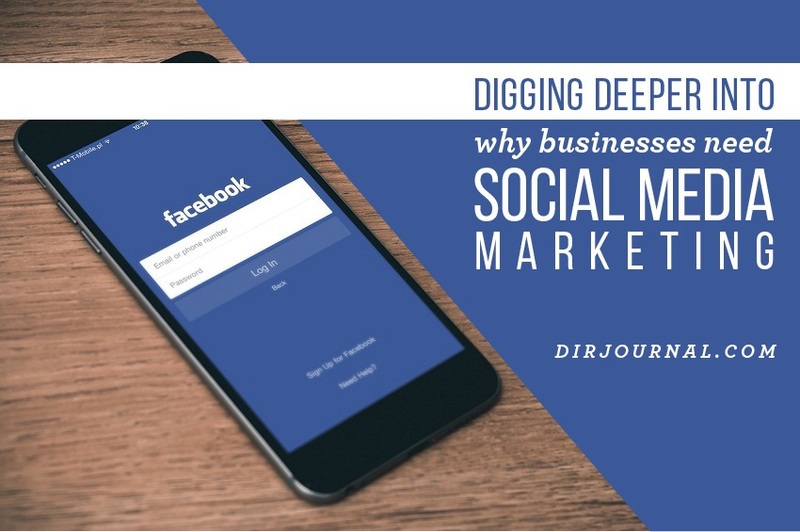 If you were already convinced that you needed social media marketing (and had already decided that you needed a strategy), then hopefully this article has encouraged you that you are going in the right direction for you. If you were not convinced before but realize that maybe social media marketing is the right path for your company or business (or even personally), then “Congratulations” and welcome to an exciting journey! If you are convinced more than ever that social media marketing is not the right strategy for you, then that is great. Why? It is great because you have put the thought that you need to put into the decision-making process. It sounds like you have come up with the right decision for you and your business. What is So Special About Commun.it?